New this month is Stargirl (production code: JSA), a DC Universe series based on the character of the same name. The series features Brec Bassinger playing the hero and will feature Joel McHale and Like Wilson as well. We first spotted Stargirl in Marietta on March 14. Signs next went up in Virginia-Highland on the 20th. The next day, filming took place at the Starlight Drive In off of Moreland Avenue. On March 22, production moved to downtown Duluth. Signs were spotted off of Thornton Road near Lithia Springs on March 25. Filming took place in Dallas between the 25th and 26th, and the next day, on March 27, crews were back in Duluth. 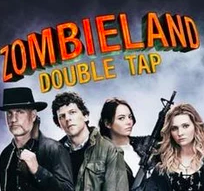 Zombieland 2 (Z2) continued to shoot into March, bringing Emma Stone, Woody Harrelson, Jesse Eisenberg, and Rosario Dawson with it. On March 12, a scene was shot at the abandoned former Presidential Hotel off of Presidential Parkway near Spaghetti Junction. Signs were spotted on Sandy Creek Road near Fulton County Airport-Brown Field on March 14. Between the 23rd and the 26th, crews shut down a portion of GA-20 in Hampton for filming. Signs nearby pointed to the Atlanta Motor Speedway. On March 26, crews were back at the abandoned Presidential Hotel. See more at Atlanta Magazine.